During many years of helping clients secure surety bonds and construction insurance we have seen a large need from clients for advice and help with various business matters including perpetuation and ownership transition. Several years ago we formed Gusso Business Advisors, as an affiliate, to help with these and other business issues. Gusso Business Advisors is led by Nick Gusso. 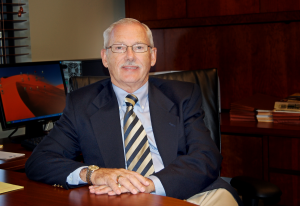 After graduating from college with a BS degree in accounting, Nick started a 35-year career in the insurance business owning a large milti-line independent agency where he specialized in bonds and insurance for contractors. Over this period of time he negotiated two business purchases, started two businesses, completed two stockholder redemptions, two mergers and three business sales for his own businesses, while managing the agency and handling a substantial book of business with several large contractors. Through this process, we work closely with your attorney, accountant or other business professionals and act as your liaison to them, where needed, to achieve your goals. Please take a few moments and read about how Gusso Business Advisors has helped others reach their financial goals. Let Nick help you with solutions and peace of mind in these and other business issues.